VINNIE. One of our absolute favorites. 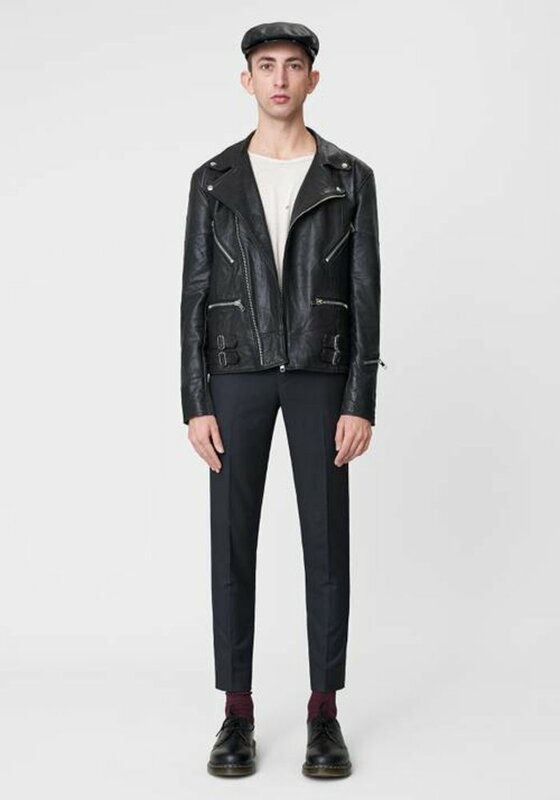 Classic motorcycle inspired jacket made from 100% Recycled/Reworked leather. Vintage leather pieces are patched together by hand in the making of this stunning jacket. 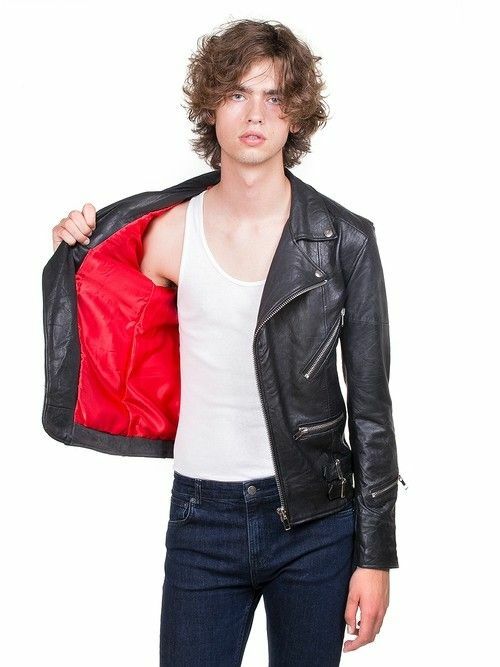 For this one we looked for juicy soft lambskin. You are unique, so is this product. Made from recycled leather for a better world. Patched up by hand using vintage leather this product is a wonder in its own right, bypassing most of the negative aspects of the fashion industry. VINNIE. One of our absolute favorites. 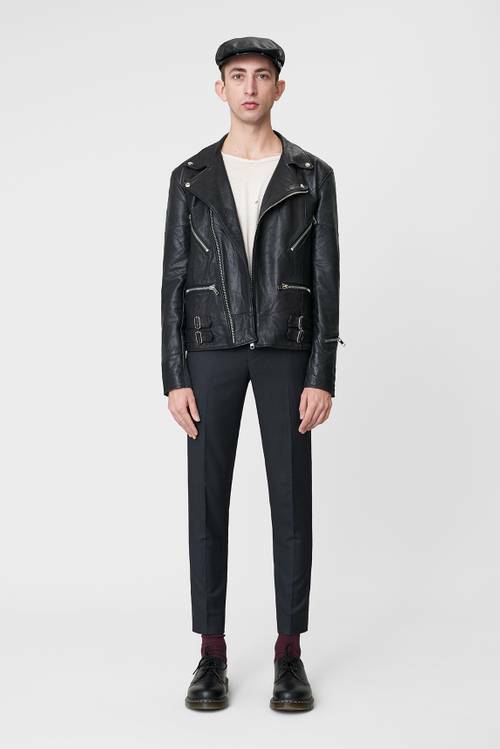 Classic motorcycle inspired jacket made from 100% Recycled/Reworked leather. Vintage leather pieces are patched together by hand in the making of this stunning jacket. 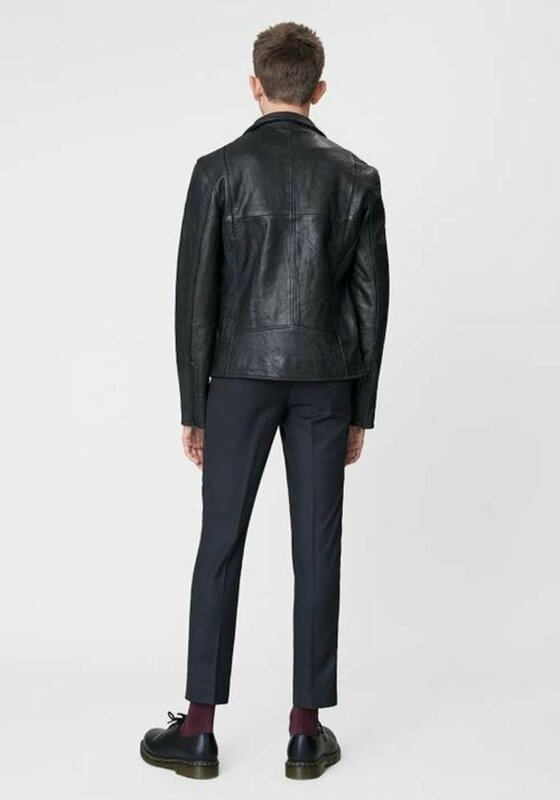 For this one we looked for juicy soft lambskin. Rebel red on the inside with soft 100% recycled PET lining. 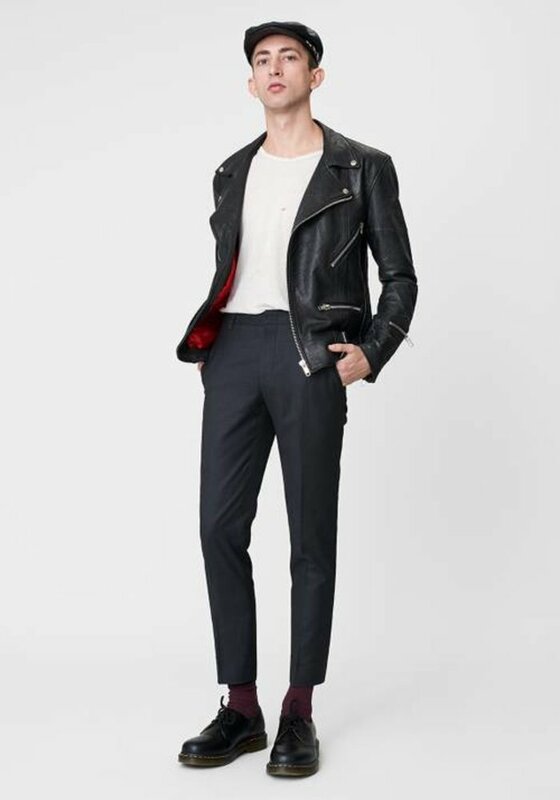 The jacket fits quite skinny so if you want a loose punk silhouette please go one size up from what you normally wear. Note: As these jackets are patched up by hand from vintage leather they may differ slightly in terms of leather quality, patchwork patterns and minor signs of wear. That's what makes them unique.